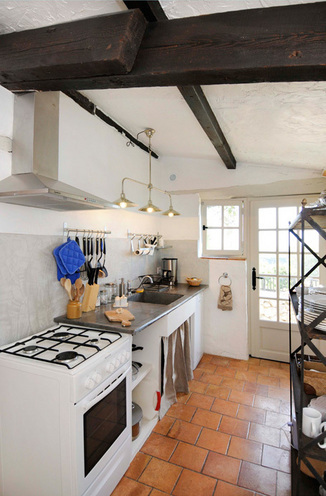 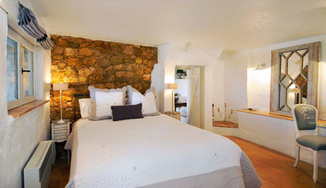 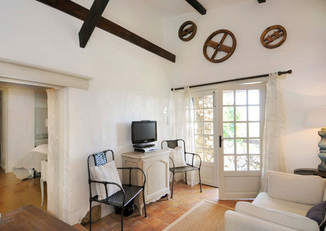 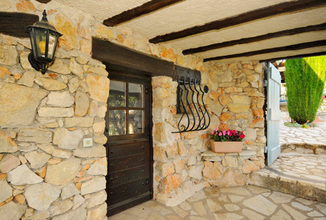 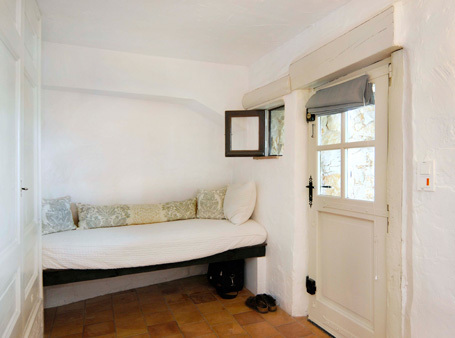 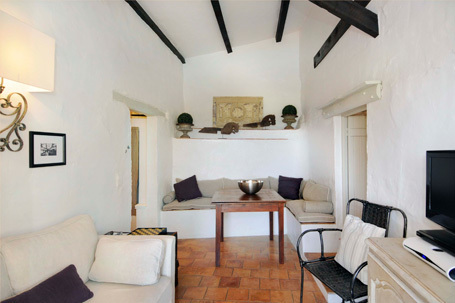 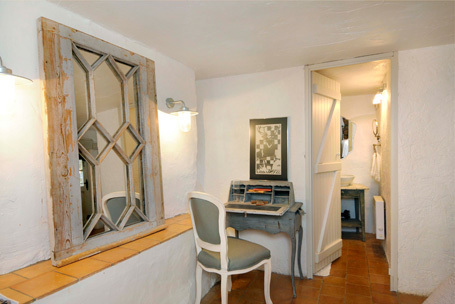 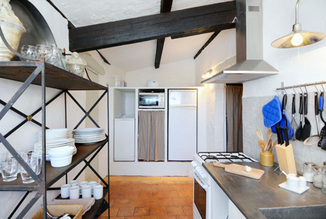 This charming two bedroom/two bath gite was created from the former old horse barn. 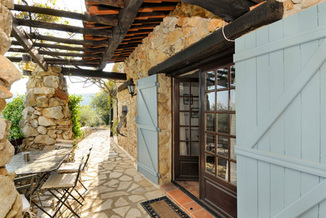 Located adjacent to and sloped down the hillside from the Grand Salon of the main house, this gite offers a vine covered patio overlooking the pool with breath taking vistas of the of the Siagnole Gorge and Mediterranean in the distance. The stone walls, French antique furnishings and recent renovations combine to offer the discerning guest the charm of old Provence and the comforts of the 21st century. 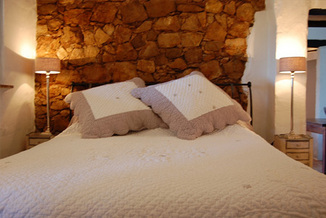 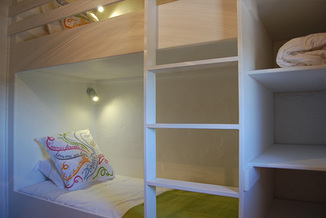 If you have friends or family who would like to join you, or if you are a large family, please don't hesitate to ask about adding our bed and breakfast room or one of the rooms from Main house to your booking.